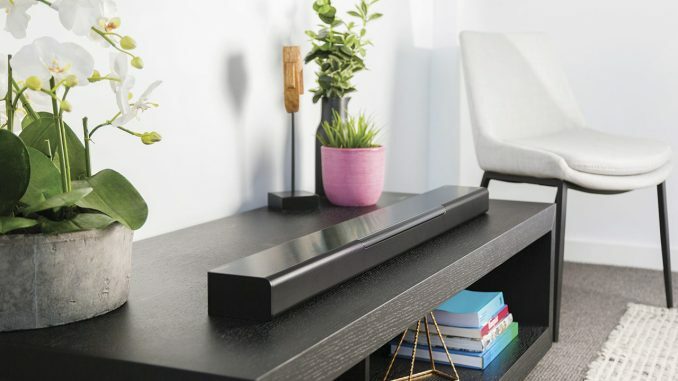 Soundbars are popular alternatives to conventional surround speaker systems, mainly because not everyone wants, or needs, a multitude of surround speakers scattered around their living room. But soundbars have their limitations. Some use digital signal processing to emulate surround sound, with varying degrees of success. Others are simply aimed at improving the typically thin sound of your average TV in a slim and unobtrusive package. The Yamaha YAS-408 is not one of the digital sound projector soundbars that Yamaha is renowned for. Rather, it’s a more conventional sound bar with multiple drivers, although it does use DSP to create virtual surround using the DTS Virtual X codec. The Yamaha is slim and elegant, and is easily accommodated in either a shelf-mounted or wall-mounted configuration. Even better, it comes with a separate, wireless subwoofer that is easy to place and connect. 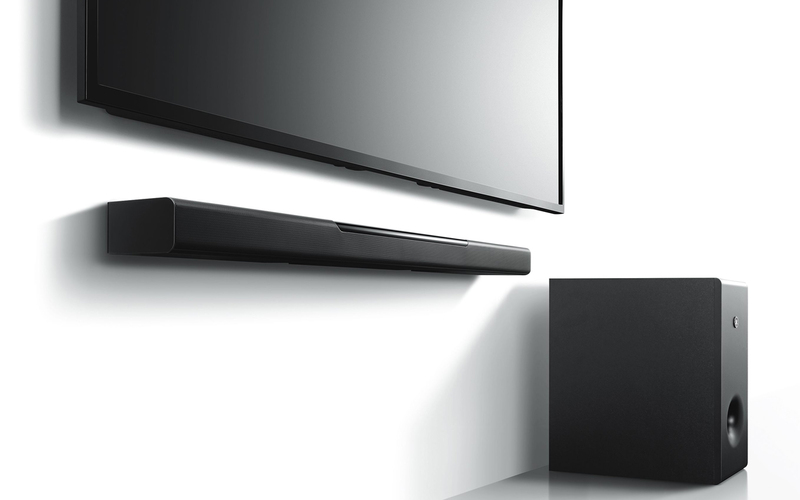 But what really makes the YAS-408 different is that it’s part of Yamaha’s MusicCast ecosystem, which allows extended functionality that goes beyond usual soundbar capabilities. There are two aspects to this. Firstly, there’s the interoperability between MusicCast components, which allows the YAS-408 to become part of a bigger MusicCast multiroom system and to be controlled accordingly, as well as sharing content from any MusicCast source. The second aspect is the system’s wireless capabilities. The subwoofer operates wirelessly and it’s possible to link compatible standalone lifestyle speakers such as the WX-051 and WX-051 (see our review here) wirelessly in a surround role, which greatly enhances the dimensionality of the soundstage in surround sound applications. The YAS-408 may be almost a metre long, but it measures only 60 mm high and 110 mm deep. If your TV set is positioned on an AV stand, the Yamaha will easily and unobtrusively fit in below it. It can also be wall-mounted below wall-located TV screens. The all-black finish is smart and functional, while a closer look reveals a fine-perforated metal grille, which conceals the six-driver speaker array. The top panel has a sleek, semi-glossy surface that’s home to touch-sensitive switchgear instead of conventional buttons and controls, as well as indicator lights that illuminate to confirm its operational status. The app not only provides intuitive access to the YAS-408’s comprehensive feature set, but is also the recommended way to set up the soundbar, especially since it makes linking up the soundbar to a home network a relatively simple affair. 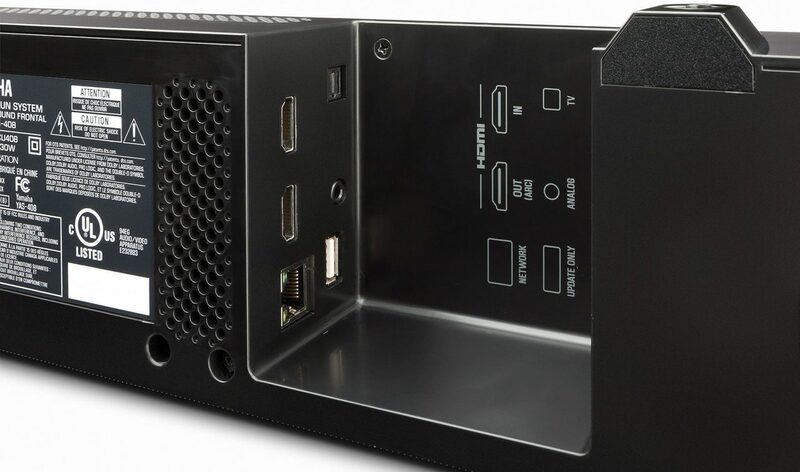 The rear panel is home to a power socket, an HDMI input and HDMI output (the latter with ARC audio return control), a Toslink optical digital input, a 3,5 mm analogue stereo input jack, and an RJ45 Ethernet network socket. The soundbar can also be hooked up to a network via 802.11 Wi-Fi, and is compatible with both the 2,4 GHZ and 5 GHz frequency bands. The accompanying wireless subwoofer has been designed to be positioned vertically, and features a side-firing 160 mm drive unit, powered by a dedicated 100 watt amplifier. It’s small enough to be discreetly positioned in even smaller rooms – even next to the soundbar, if need be. As mentioned, the YAS-408 promises to deliver a big upgrade in sonic performance when compared to the on-board audio offered by your average TV set. 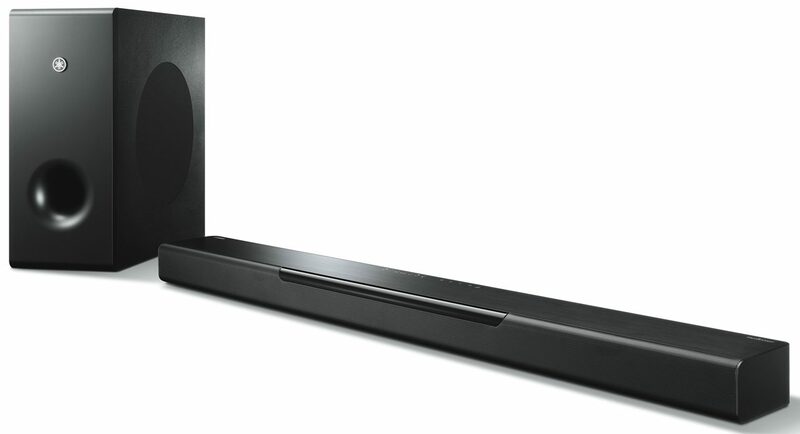 The soundbar contains six drivers, arranged in a mirror-image configuration, with a 25 mm tweeter flanked by a pair of 46 mm mids on the left and right extremes of the bar. The wireless subwoofer adds a welcome low-frequency foundation. The soundbar can operate in stereo or surround mode, with the surround effect created using DTS Virtual X. The codec employs digital signal processing to simulate surround sound through selective time delay and level variations, as well as by emphasising certain frequency bands. The Yamaha’s feature set is a lot more extensive than you’d expect. I’ve already mentioned MusicCast, which effectively allows the YAS-408 to become part of a multiroom system. Briefly, MusicCast is a multiroom ecosystem that allows compatible devices (AV receivers, soundbars, standalone Bluetooth, amplifiers speakers, and more) to communicate and share source material. They can also be synchronised to play the same source simultaneously, or operate completely independently from one another. In the case of the YAS-408, MusicCast can also be used to link it to a MusicCast speaker such as the WX-051, and to configure it as a rear surround speaker. You can find out more about MusicCast here. In addition to playing back connected sources, the YAS-408 can stream content from several music streaming services, including Spotify, Deezer, Qobuz and Tidal, and offers access to a vast selection of Internet stations via TuneIn. Then there’s Bluetooth and Apple AirPlay 2, both of which can be used to connect a source such as a smartphone to the soundbar, and stream content from that device. And finally, intuitive voice commands are possible if you’re an Amazon Alexa user. The YAS-408 was installed in the AVSA listening room, with our regular Oppo BDP-95EU operating as the primary source via HDMI, while our Epson EW-TW5500 provided the pictures via the soundbar’s HDMI output. The subwoofer and the soundbar recognised each other on switch-on and required no specific pairing regimen. Once linked to our network via Ethernet, the MusicCast app also identified the soundbar, which then made it possible to set up and control it via the app. As I had a Yamaha WX-051 wireless speaker at my disposal during the review period, I was able to add the speaker to the same virtual ‘room’ in the MusicCast app, and then link it to the soundbar in a rear surround role. My iPhone 5S easily identified and paired with the Yamaha via Airplay too. Finally, the YAS-408 was able to recognise the NAS server on the network, and navigate and play back music data stored on it. On that subject, the soundbar is compatible with a wide array of music file formats, ranging from lossy file types such as MP3 and WMA, to AAC (up to 48 kHz), ALAC (up to 96 kHz) and WAV, FLAC and AIFF (up to 192 kHz/24-bit). As the slim enclosure determines that the drivers are small too, I was expecting the sound to be pretty much mid-biased. However, the accompanying subwoofer actually delivers a wide slice of lower mids and bass frequencies, filling out the sound nicely. Bass notes had good density and presence, with plenty of oomph and sufficient drama to create an overall sound that was always bigger and bolder than expected. Admirably, that fullness was achieved without muddying the sonic waters as far as detail and dialogue projection were concerned. The Yamaha managed a pleasingly smooth transition from clean and incisive mids to clear and well defined trebles. 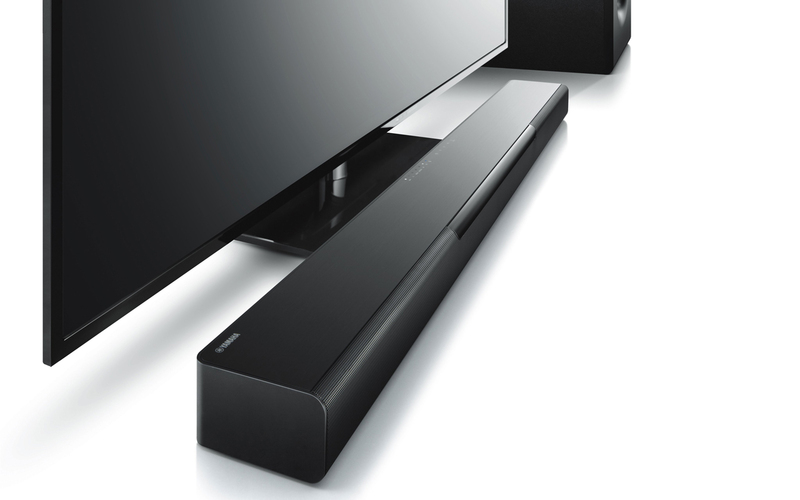 The soundbar also resolves an ample bounty of detail, which added to an overriding sense of realism. Staging was quite expansive, given the soundbar’s centralised position, and it managed to create an illusion of space and air that was impressive, opening up the sound and allowing for a real sense of dimension. Where the soundbar falls short, at least without some extra help, is in the surround department. Invoking DTS Virtual X certainly opened up the soundstage, benefiting both dialogue projection and detail resolution, as well as extending the width and depth of the soundstage. However, it was less successful at delivering front/back steering or an immersive ambience. Rather, the performance should be considered in the context of a 2.1 system – which, quite frankly, would more than suffice most of the time. But for those who demand the surround experience, the solution lies in adding one, or even a pair, of Yamaha WX-051 MusicCast speakers. These, as mentioned, link wirelessly to the YAS-408, and even one WX-051 positioned in a central location behind the listening position created a quite compelling sense of surround space that was as startling as it as effective. No, it’s not in the same league as having dedicated surrounds, surround backs and ceiling-mounted height speakers, but it does create a believable sense of multi-directional steering that makes for a more immersive listening experience – and with a minimal hardware presence. Effects-rich movies such as Mission Impossible: Ghost Protocol were portrayed with pleasing punch and intensity, with enough dimensional steering to create a believable engagement with the action. That said, I often felt that using the soundbar without the virtual surround engaged sounded more emphatic. David Gilmour’s <Live at Pompeii>, played back in stereo seemed more focussed and incisive, if not quite as airy, and also linked up better with the on-screen action. The same went for music: content from Tidal and Deezer sounded perfectly wholesome in stereo, with good imaging and detail. While the YAS-408 is competent and enjoyable sonically, it is the combination of a slim and sleek form factor, extended wireless capability, and membership of the MusicCast clan that sets it apart from more conventional offerings. 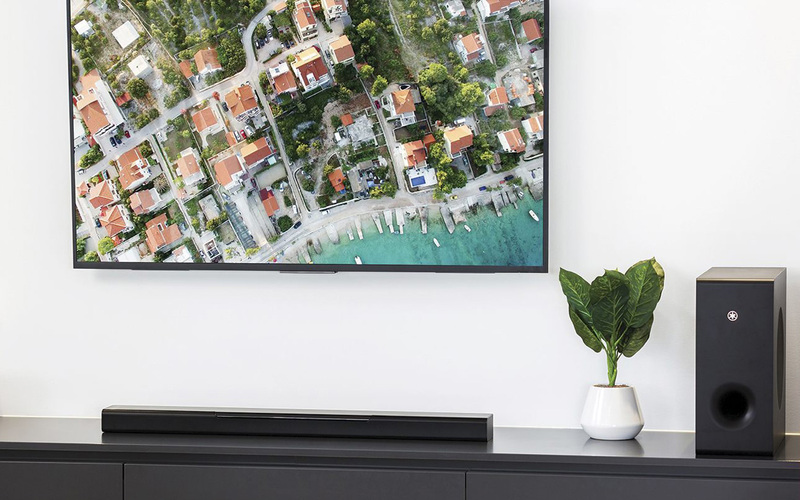 Not only can it stream content from an extensive array of services and sources, but it also becomes part of an even more versatile multiroom system when linked to other MusicCast devices – an aspect that can also form the basis of a future upgrade path. Add the prospect of regular firmware upgrades delivering additional capabilities and features, and the Yamaha YAS-408 also has a measure of future-proofness on its side – all for a value-added investment.